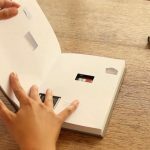 It may look like just a piece of paper to many, but it is just as vital as the lawn mower itself. Think about it as the only thing that can tell you how the maker of the lawn more wants you to handle it. 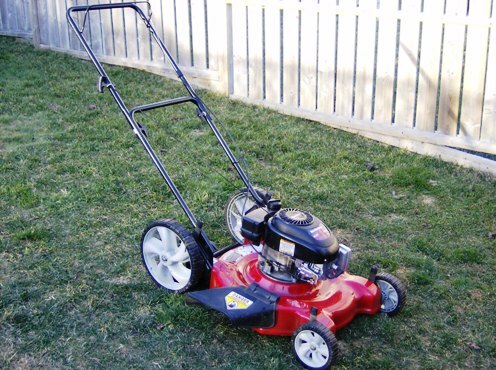 So keep the manual safe and refer to it anytime your lawn mower breaks down or develops a minor glitch. Then note that use of the instruction manual cuts across when it comes to all outdoor equipment. Do this at the end of every mowing season. 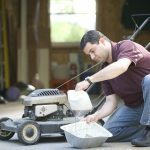 Experts state that one of the main reasons why lawn mowers often fail to start is having used gasoline in the mower for a long time. With that in mind, run the remaining gasoline out of the lawn mower or drain it after every mowing session. Treat it like a car. You won’t let it sit in the garage for a long without running the engine. It is the same concept with your lawn more engine. This is where the car analogy mentioned above comes into the picture once again. Take time to monitor the oil level in the mower from time to time. Then while at it, look for dirt and floating debris that may contaminate the oil. The oil may appeal fine at first glance. A closer look may reveal dark black spots which is always an indication that the oil has been contaminated and needs immediate change. To drain it, remove the drain plug under the mower and allow the oil to drain on its own for at least 5 minutes. 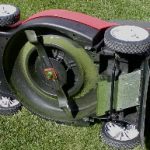 If the mower does not have a drain plug, tilt it on its side gently. This will drain the oil through the fill hole. Remember to refer to the user manual if you are not sure about how to drain your lawn mower’s oil. Grass and other debris will at one point or another get caked in the undercarriage if you use your lawn more regularly. This may clog the mower’s discharge chute and make it hard for the mower to cut grass or even to start. Use a wire brush or hard bristled plastic brush to brush off dirt and grass clippings from the undercarriage. You can also use a high pressure hose to clean the undercarriage. Then as a safety precaution, disconnect the spark plug as you clean or repair the undercarriage.